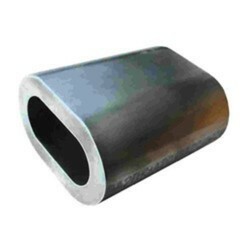 Our present position in the industry is chiefly attributable to our specifically designed Aluminium Ferrule from our exclusive collection of products. We manufacture brass, copper and aluminium ferrules, which are essential raw material for the manufacturing of cosmetic brush, artistic brush and paint brush among others. These ferrules are designed and developed as per clients requirement in terms of dimensions, material, quality and quantity among others. - 17/20 mm in Length. - Inside Ø 3.5 mm/5.20mm. - Outside Ø 6 mm. 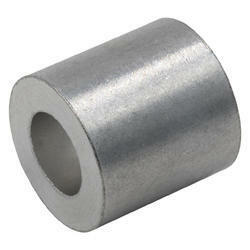 Owing to the wide experience in this domain, we are instrumental in offering Aluminium Ferrule to our clients.